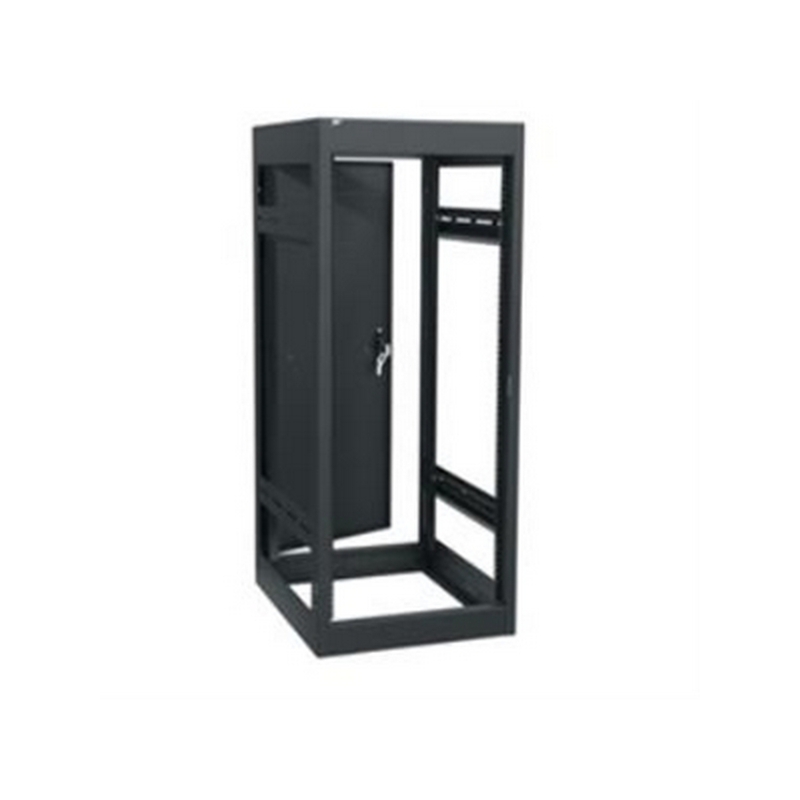 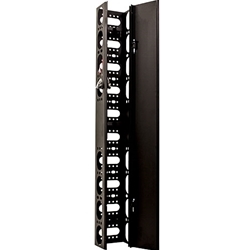 The 12RU Essex Solid Door from Middle Atlantic can be used as a front and rear door with the MMR and QAR series racks. 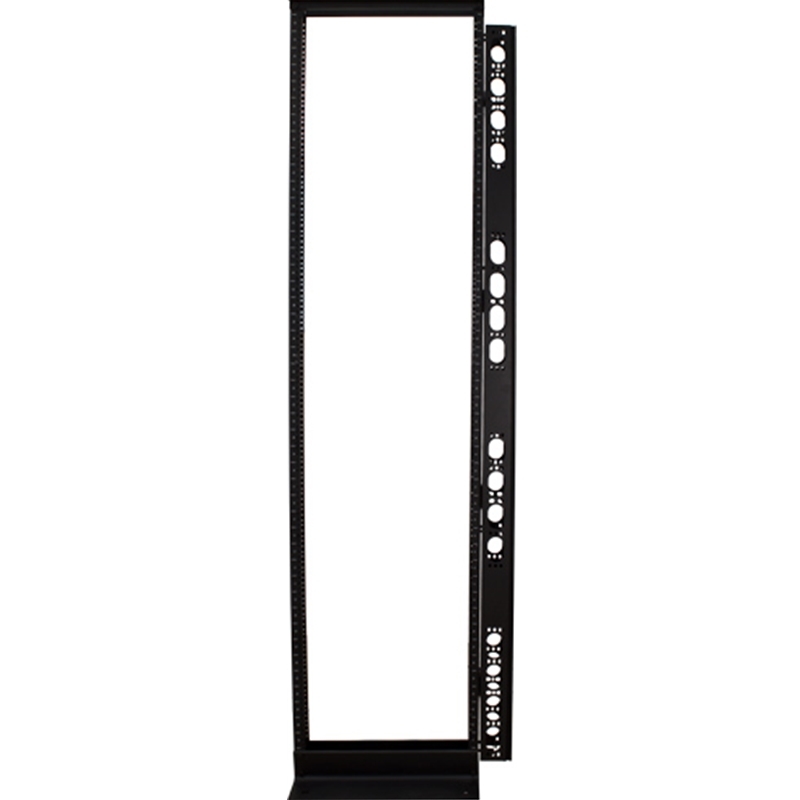 The heart of the system is a unique state-of-the-art fan that is both quiet and powerful. 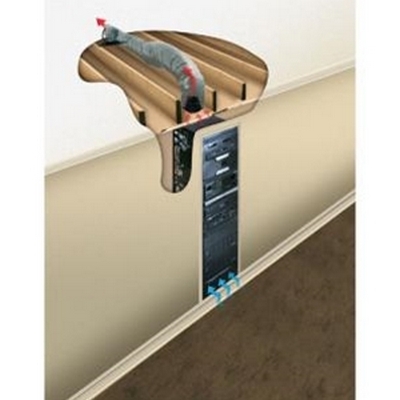 It has the ability to effectively pull heated air from up to 25 feet away, far from the user. 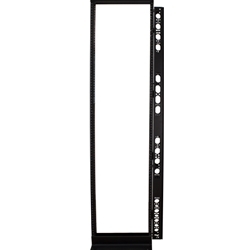 Standard unit includes a built-in thermostat preset to turn on at 88ºF and off at 85ºF – so the system only runs when needed. 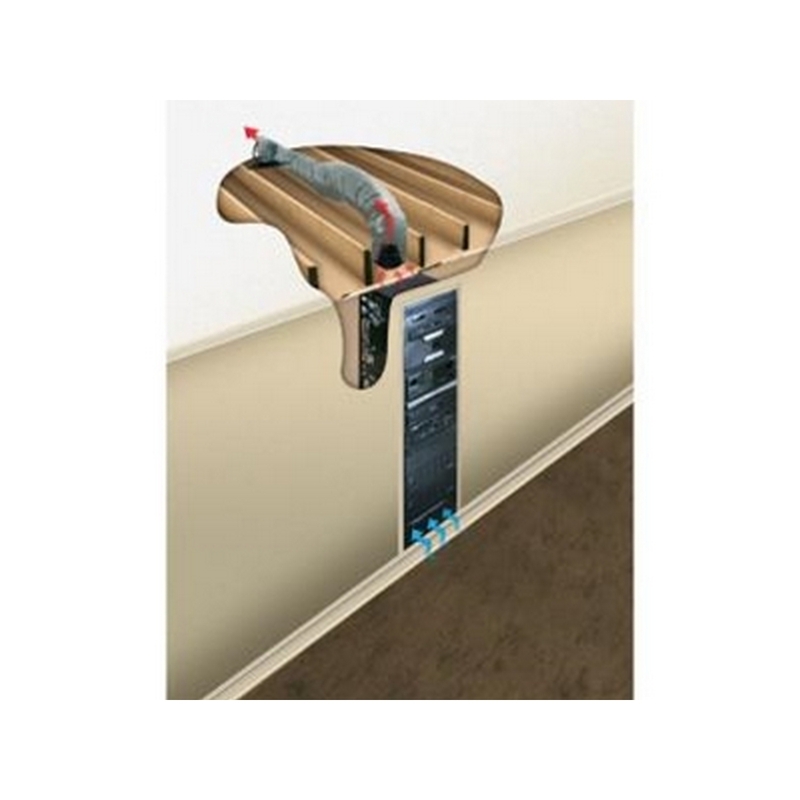 Flexible system installs quickly, easily and can exhaust to any convenient remote location. 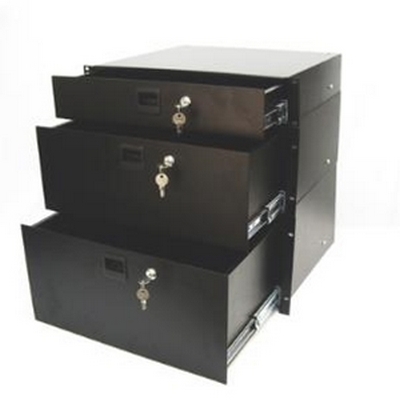 Offered in solid configurations. 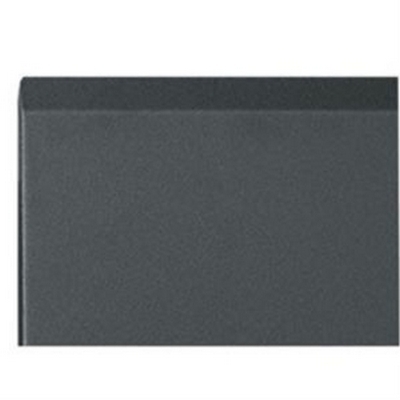 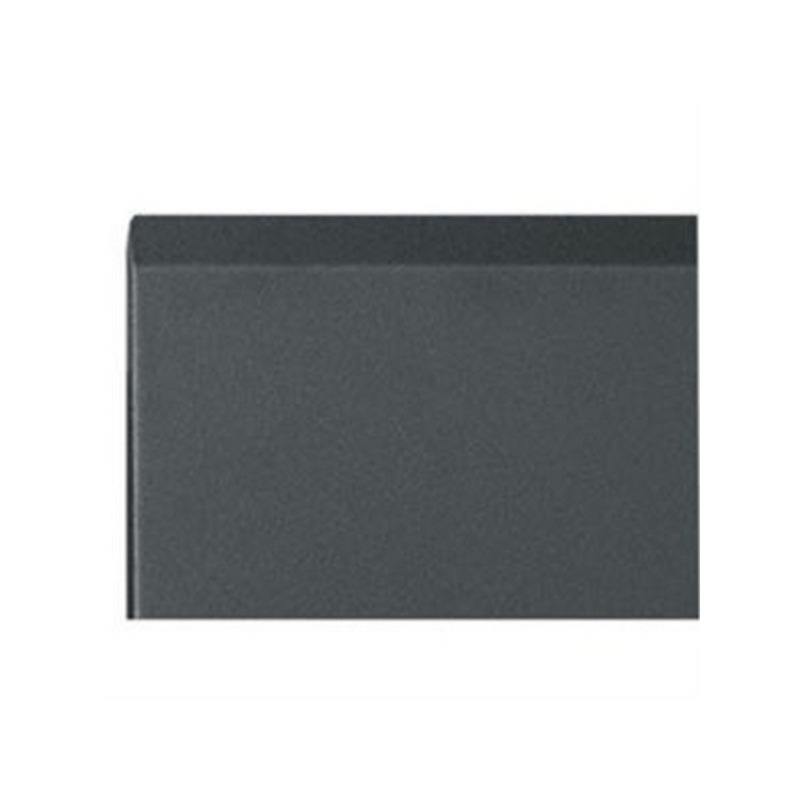 Beveled corners provide a stylish modern appearance while hinging either left or right. 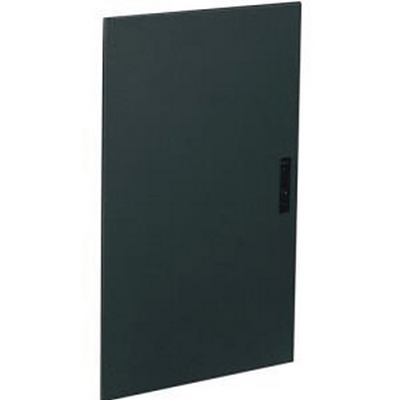 Black textured powder coat finish. 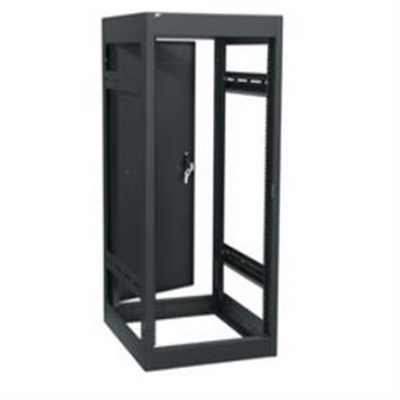 Includes keylock. 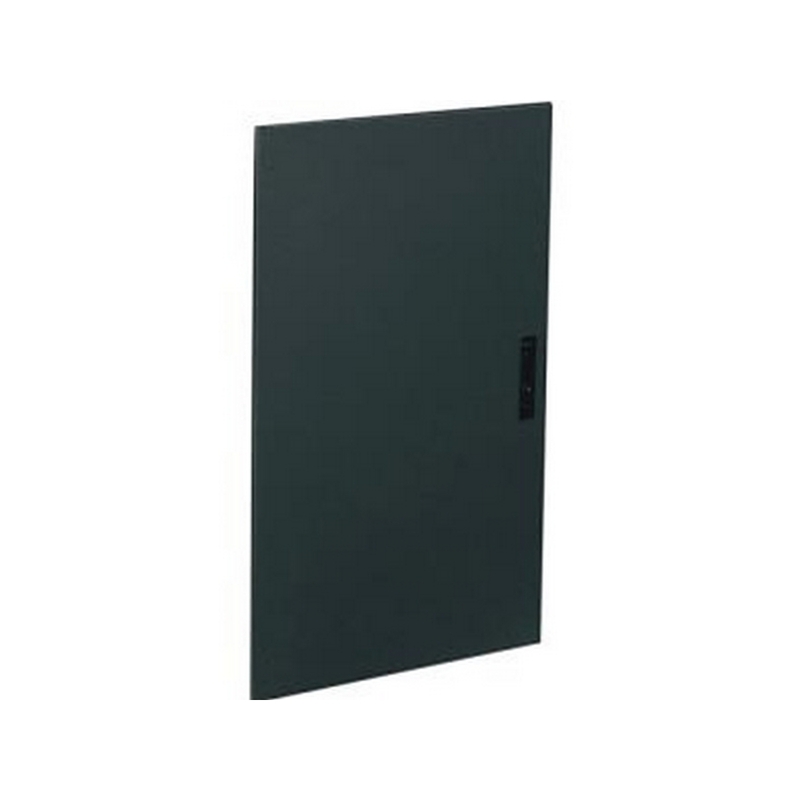 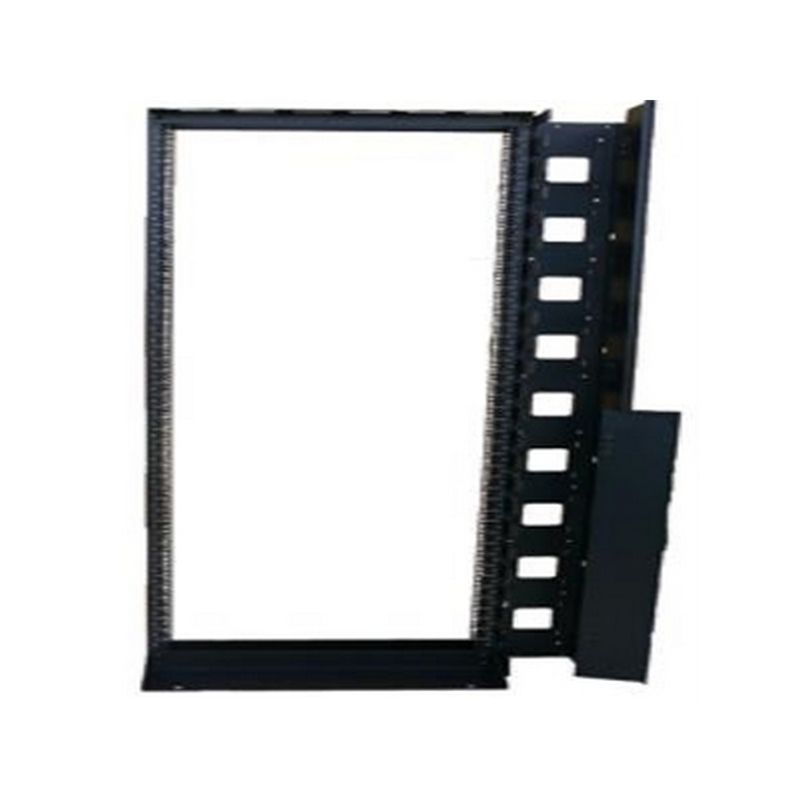 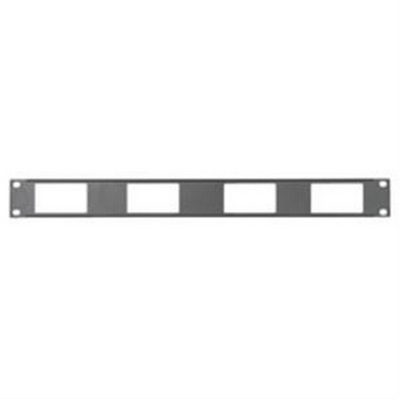 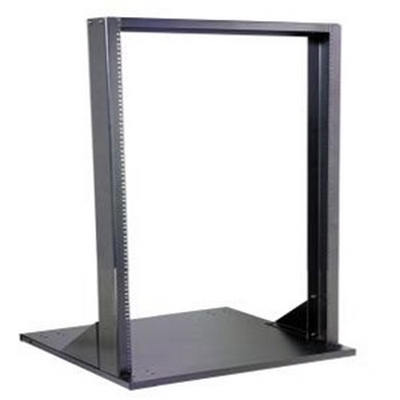 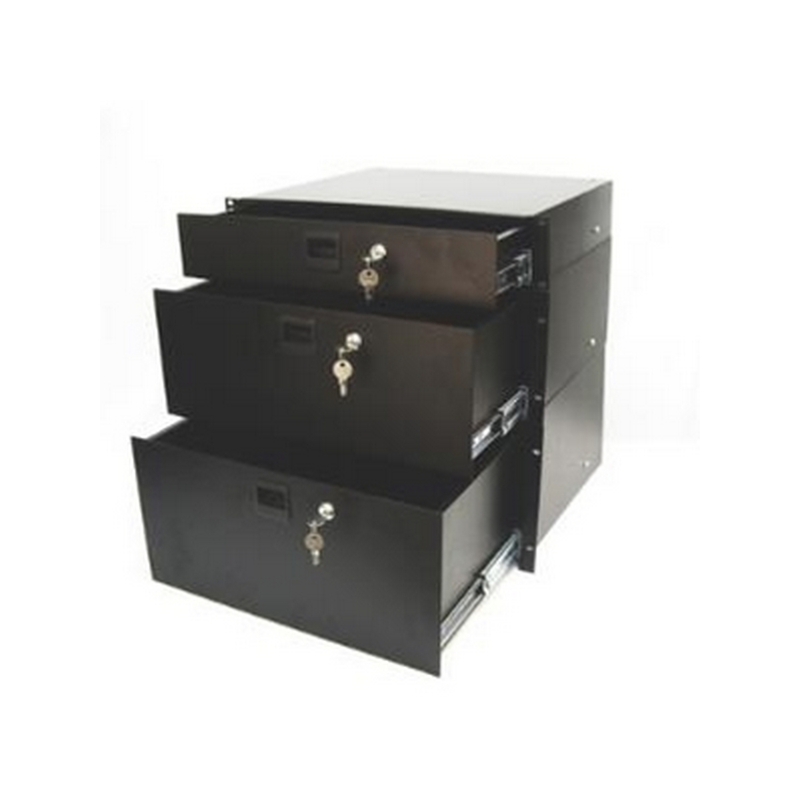 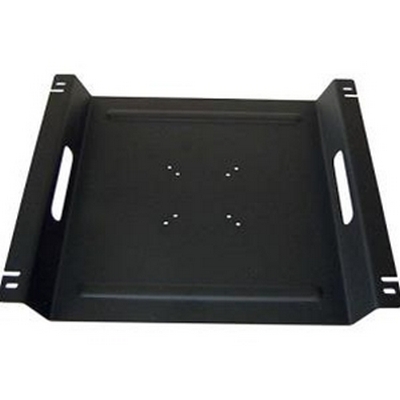 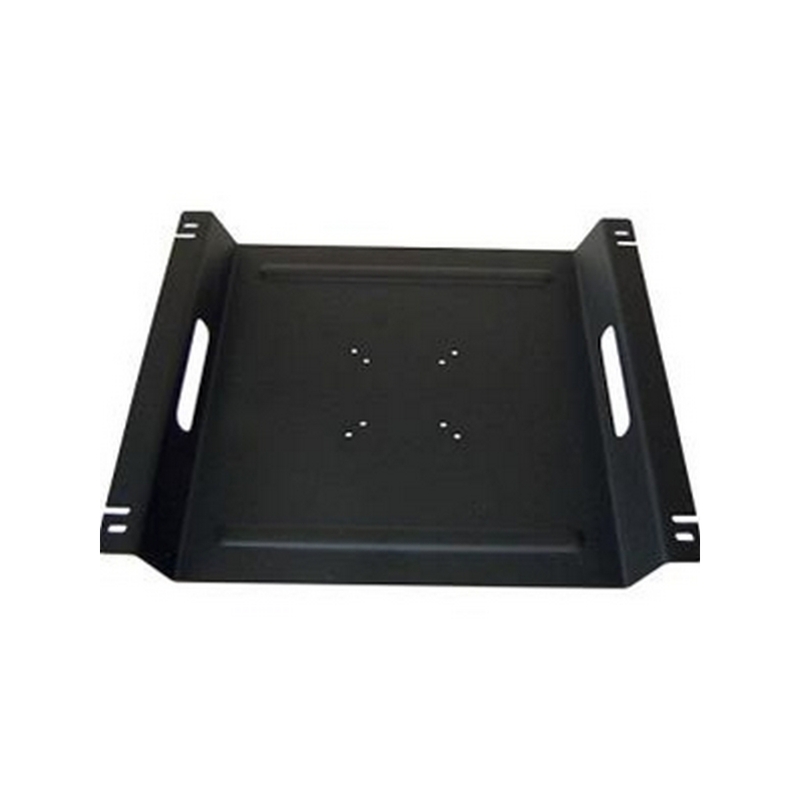 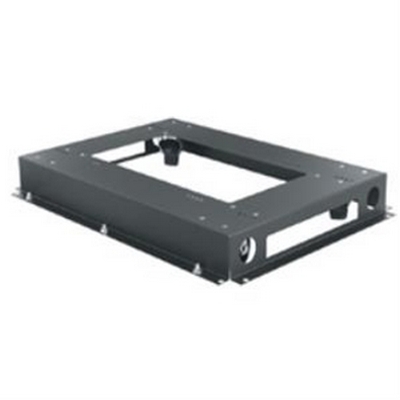 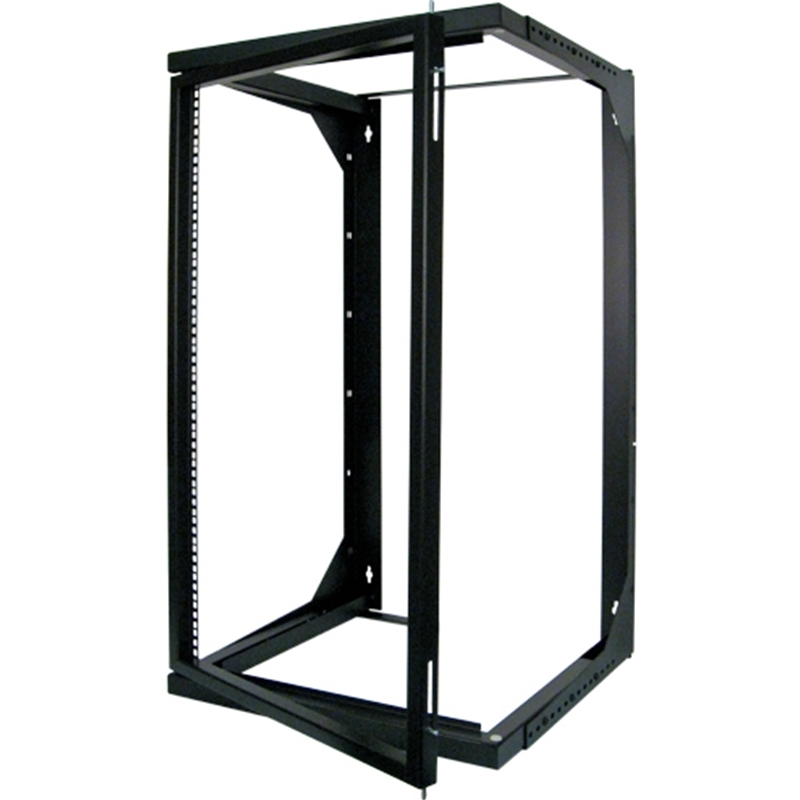 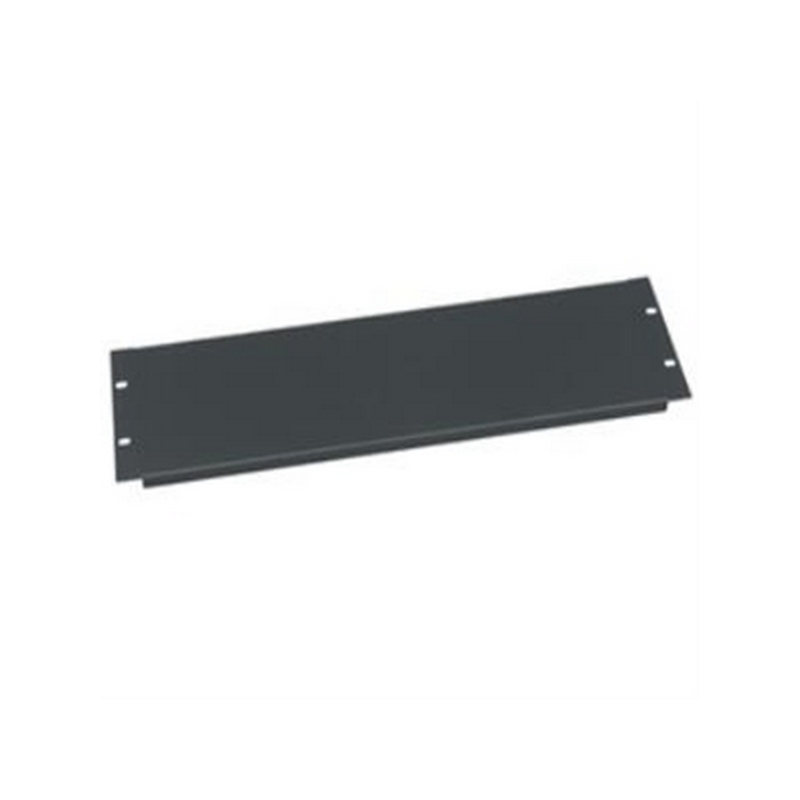 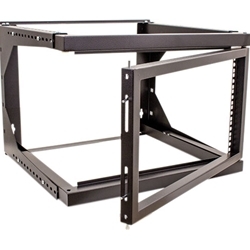 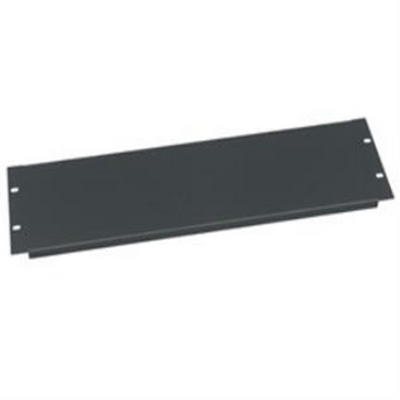 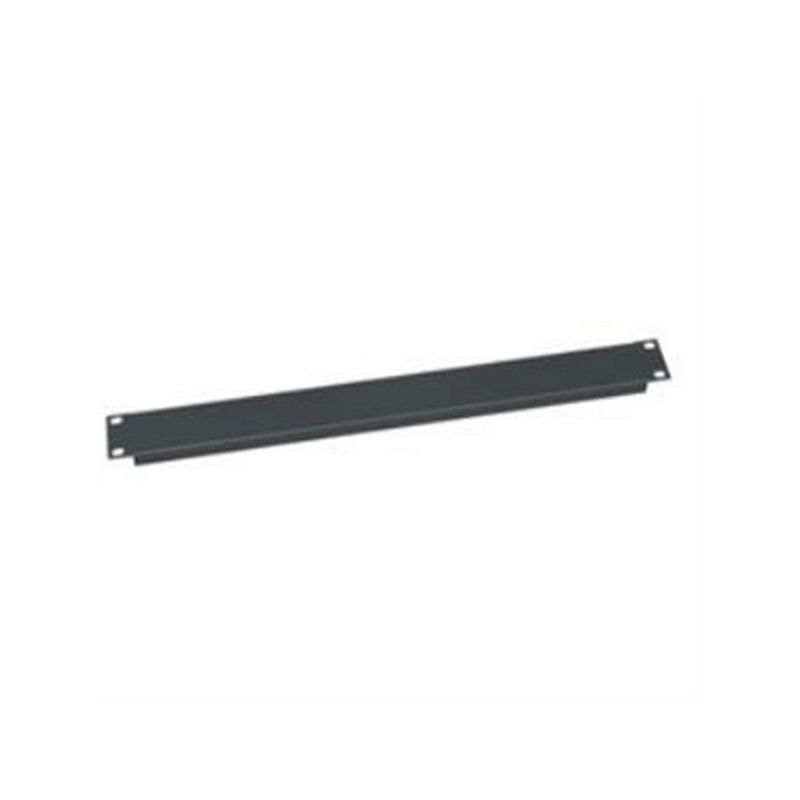 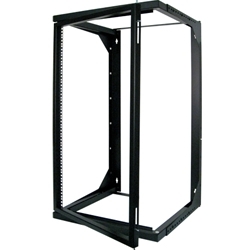 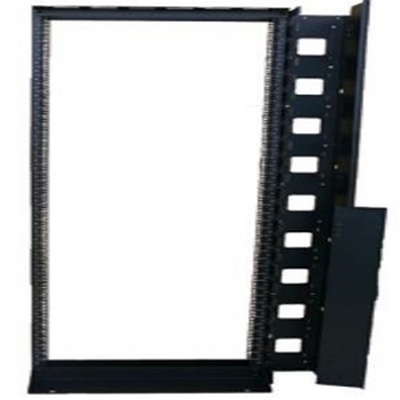 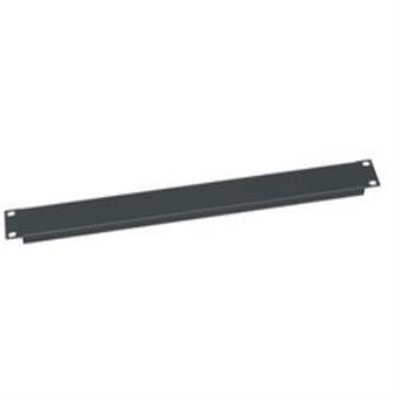 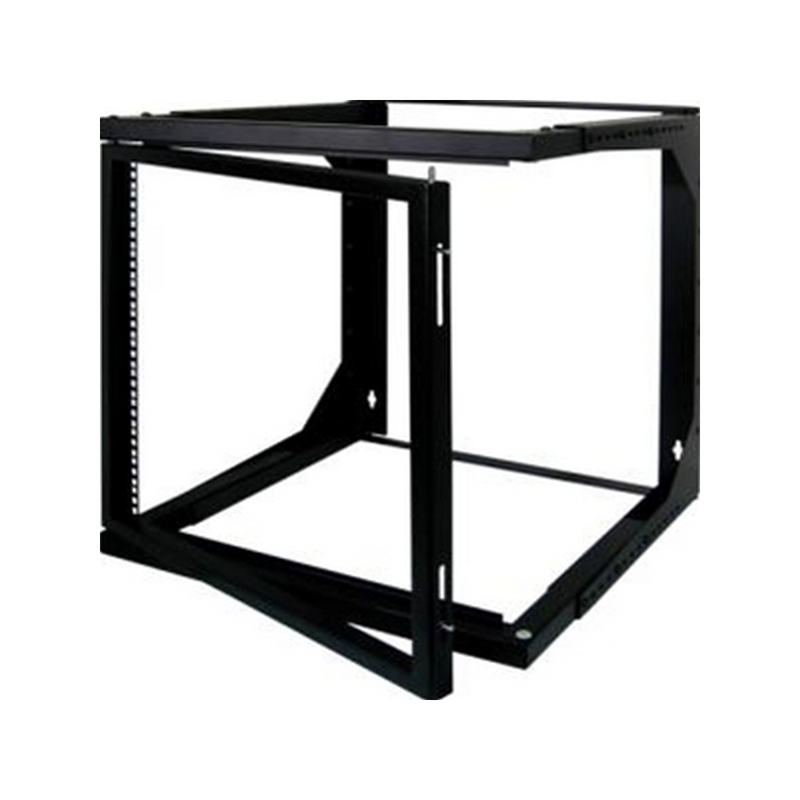 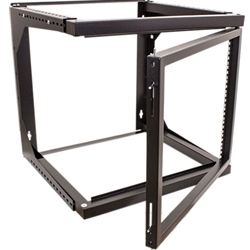 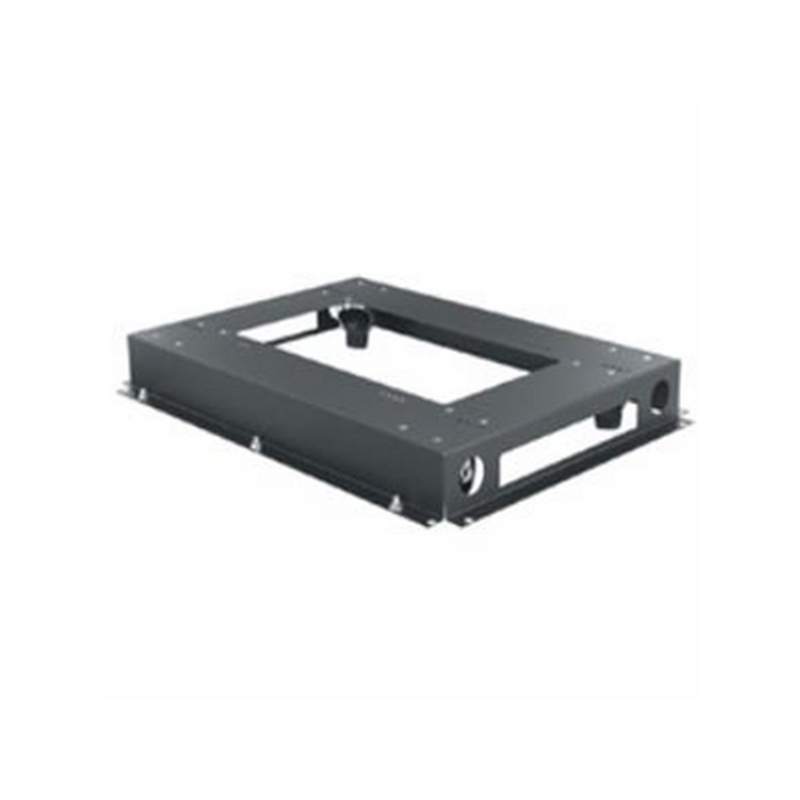 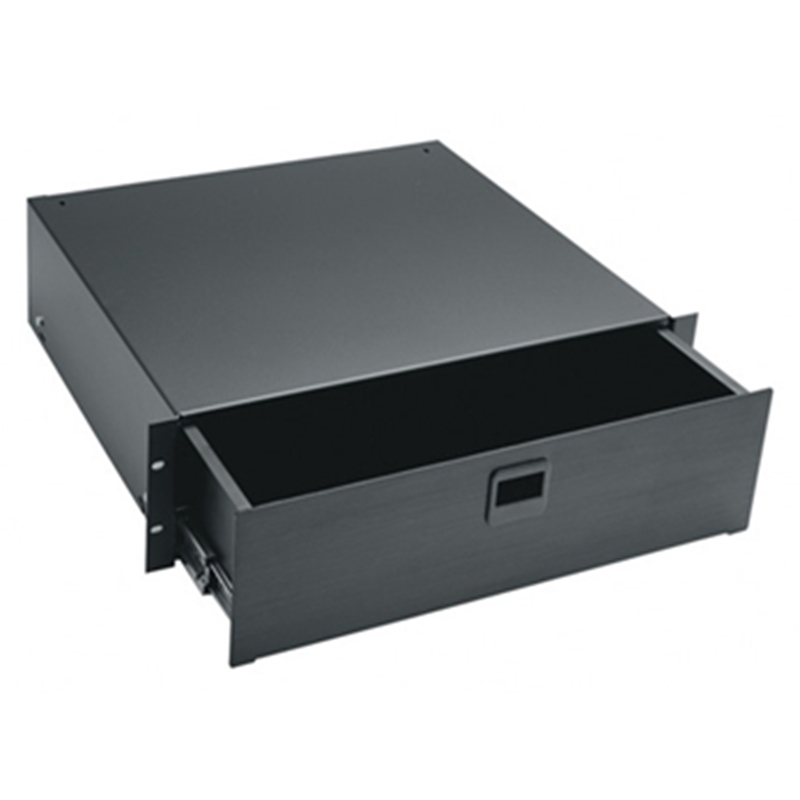 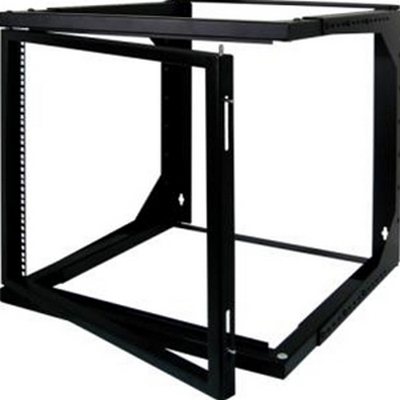 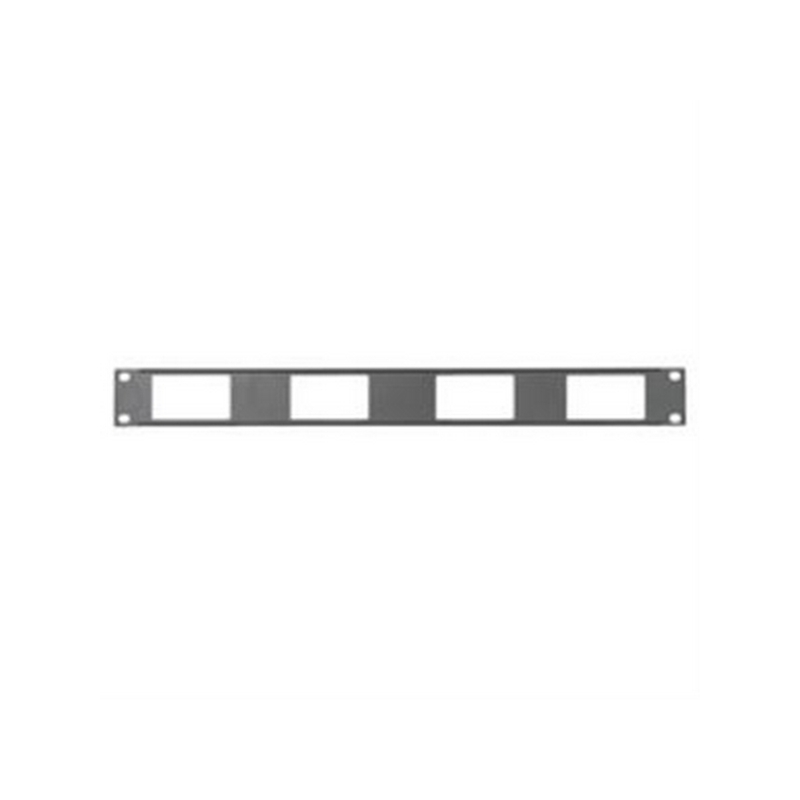 One space panels mount any low-voltage Decora device directly onto the rackrail of a standard 19” enclosure. 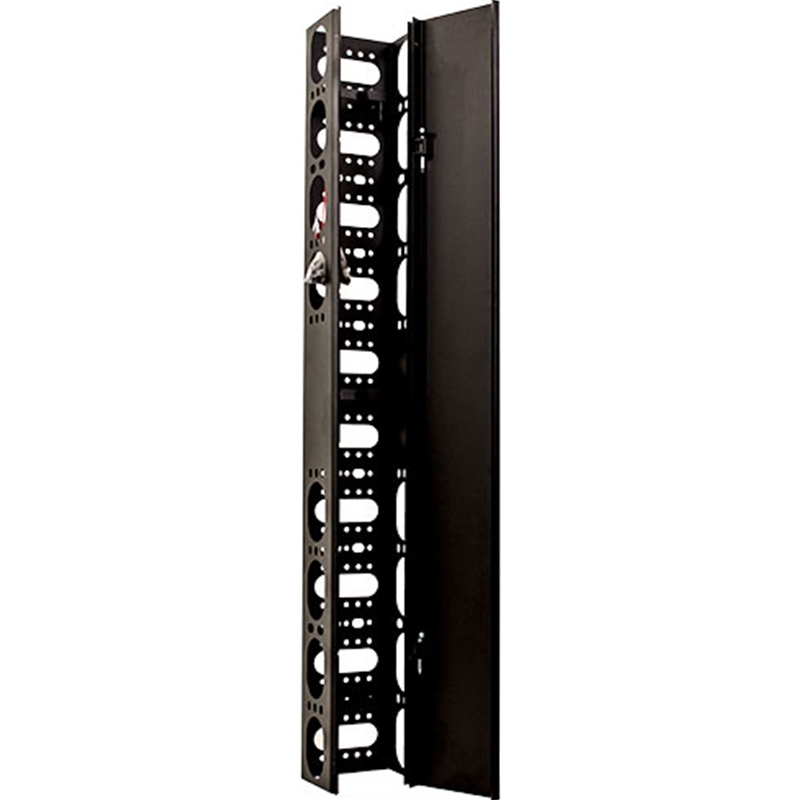 Panels accommodate as many as four devices including the RPS Series remote power switch and the TEMP-DEC temperature display. 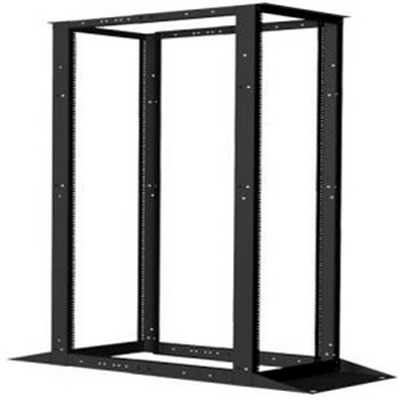 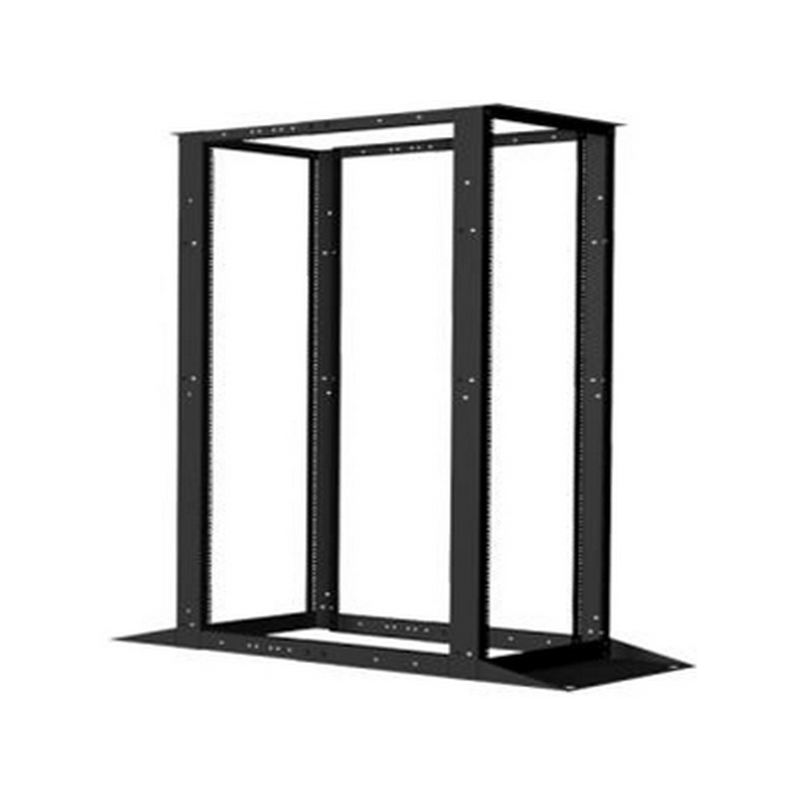 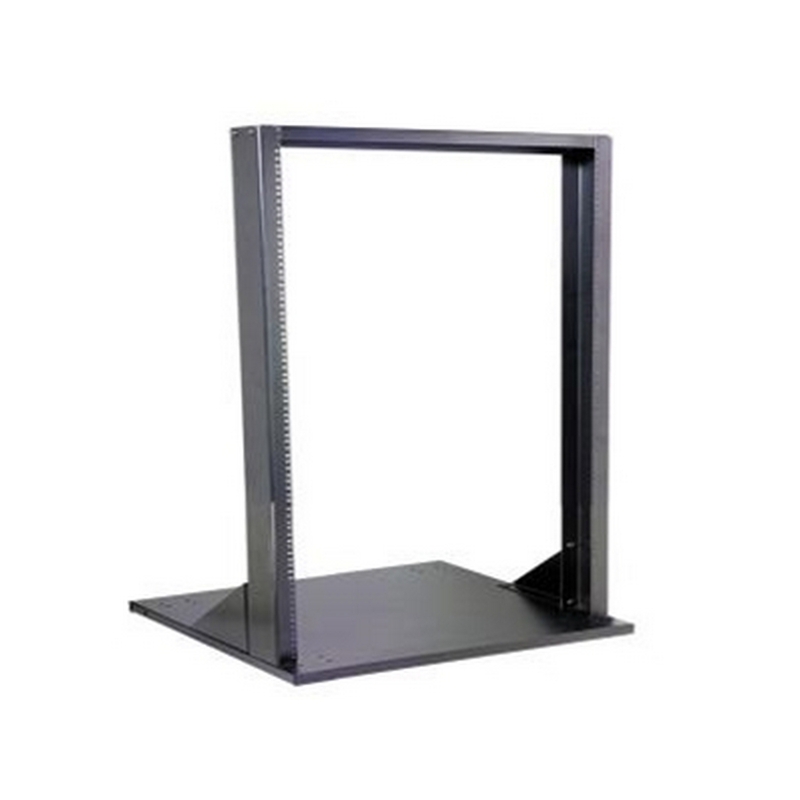 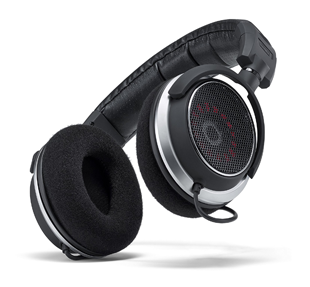 Constructed from one-piece flanged steel (with an open area of 1.62” between flanges), black powder coat finish.